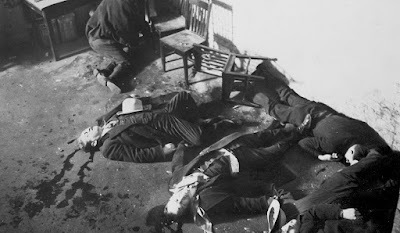 With the recent murder of Cosa Nostra Gambino crime family boss, Jane Recker at Smithsonian.com looks back at six of the most famous mob hits, from the murder of Cosa Nostra boss Angelo Bruno in South Philadelphia to Chicago’s St. Valentine’s massacre. Last week, Frank Cali, head of New York’s Gambino crime family, was murdered outside his Staten Island home, according to The New York Times, making this the first time a mafia family boss has been whacked since former Gambino don Paul Castellano was shot in 1985. But in the first half of the 20th century, when the mob reigned supreme and was a staple of front-page news, high-profile killings were far more common and just as graphic, inspiring the gory imaginations of the American public.